Second grade teachers and parents will appreciate the scientific facts that will enhance lessons in the second grade classroom. The author also includes several activities that can be used to compliment lessons on frogs, nature, and the environment. 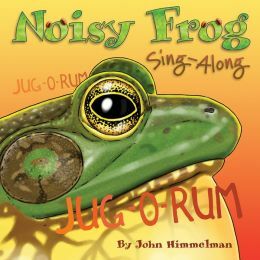 More information on this book and other nature books by this author is available to parents and teachers at www.johnhimmelman.com which includes a list of books and programs on singing amphibians and insects. What second grade teacher doesn’t appreciate additional information to enhance a lesson plan? simple, the illustrations are interesting and engaging, and the additional scientific facts make this a great book for the second grade reader.